Google Trips is a new travel app that will eventually hit the Google Play Store. A report published on Thursday indicates that the app is undergoing testing and is getting closer to its launch. The app will go through your Gmail, soaking up information such as your flight number, departure and arrival times. Other data such as your hotel information, dining reservations and even your sightseeing plans are all picked up from Gmail and are bundled together. Besides allowing you to put together your itinerary, Google Trips will also recommend places to go and tell you where to eat. All of this is mapped out for you with navigation available for various modes of transportation. And all of this info can be accessed even if you're offline. Users will be able to write comments and put up photos to help them look back at all of the fun that they had. There is no word on when we might see Google Trips released. 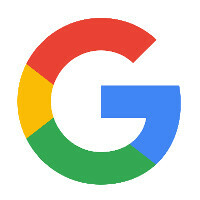 Considering that Google has been offering many of its apps for iDevices, a version for iOS is also expected. No matter which of the two platforms you use, Google Trips could be a very useful app once it is released. Check out some screenshots of Google Trips by clicking on the slideshow below. this is an app I'd use, I do a crap ton of reviews so they need to hurry up and send me the beta.